Interested in the latest and greatest bar equipment Manchester has to offer? There’s certainly a fantastic variety of products to be found here at DK Services, so we think it’s a safe bet that we’ve got what you’ve been looking for at a fantastic price! One of our most popular product ranges is our selection of top quality bottle coolers, as they come in all shapes and sizes and can flexibly fit just about any establishment or business that needs them. They’re a pretty common sight in bars, pubs and clubs for a reason, after all, and can take the form of everything from impressively tall fridges to incredibly compact single door appliances that can hold more than you might think at first glance. If you’re looking to keep those bottled drinks safe, secure and cool as can be, and you’re looking for bar equipment Manchester-wide which is both reliable and highly energy efficient, we recommend you don’t miss what our bottle coolers could do for you. 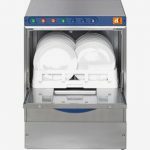 There’s also our range of dishwashers and glasswashers, as the ability to make a quick turnaround with your cleaning is definitely something that should be held in high regard when running a bar. Take a look through our full range of bar equipment Manchester-wide, and you’ll find highly practical products capable of getting through an impressive amount of glasses and dishes – guaranteed! 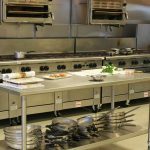 If you’re feeling tempted to look into getting bar equipment Manchester-wide from DK Services, then you’ll never have to worry. Our innovative rental service means that you’ll always be able to get your hands on our fantastic appliances without having to break the bank, though you can always feel free to make an outright purchase for similarly great prices you’ll hardly believe. So why not invest in our appliances today? We’re specialists when it comes to providing bar equipment Manchester-wide, so simply make sure you get in contact with any questions or queries and our friendly team will be more than happy to provide the answers.